Your All About Smiles dentist in Wilmington, DE is highly committed to holistic, total body health and that means we are 100% mercury-free. Mercury or amalgam fillings can be toxic and have ill side effects on your overall health. According to the Agency for Toxic Substances and Disease Registry, mercury only falls behind arsenic and lead as one of the biggest heavy metal risks to human health. At our All About Smiles dental office in Wilmington, we always like to educate our patients about the dangers of mercury and heavy metal toxicity. We thought we’d take a moment to talk with you about in this blog in the hopes that you or someone in your family might recognize that they need help. Should I Worry About Heavy Metals? A buildup of heavy metals in toxic amounts in your body can lead to potentially dangerous poisoning. These metals are often found secretly hiding out in our soft tissue all over our bodies. It’s vital that our All About Smiles dental patients understand that there are bad metals, but there are also some metals, in small amounts, that are crucial to our body function. 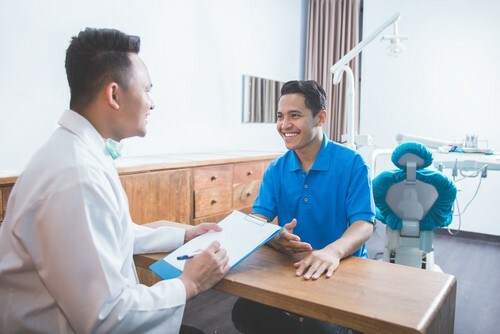 It’s important to discuss with your Wilmington dentist how essential it is to remove your amalgam fillings because of your risk for unwanted side effects. But it’s also important to understand that the other heavy metals we’ve talked about are also present in the environment, food items, medicines, soda cans, cosmetics, kitchenware, plastic containers, and dated painting materials found in older structures. If you have abnormally high levels of heavy metals in your body, then you may be experiencing side effects related to heavy metal toxicity. Unfortunately, it’s almost impossible to avoid these substances due to their presence in so many conventional materials. If you’ve got a high level of heavy metals present internally, your body’s regular biochemical process could be under attack. Talk to your dentist in Wilmington about how we can help determine if you’re metal fillings are detrimental to your overall health. We have state-of-the-art diagnostic technology and treatments that can help safely remove your amalgam fillings in a way that protects you and the environment. Are My Metal Fillings Making Me Sick? Did you know that amalgam fillings are usually made up of about 50% mercury? Even though it’s naturally-occurring and non-radioactive, the World Health Organization has long warned people that no safe amount should be present in our bodies. Mercury has been linked to both the direct and indirect cause of many underlying health issues. There’s a potential for mercury vapors to enter your body every time you use your affected teeth. Passing through cell membranes, mercury can quickly end up in our central nervous system causing severe neurological, psychological, and immunity-inhibiting diseases. Please don’t hesitate to call our All About Smiles dental office in Wilmington if you’re struggling with what to do about your metal fillings or if you have questions about heavy metal toxicity. We’re happy to speak with you and provide guidance as best we can. Is there something else you want to know about amalgam fillings or heavy metals? Just ask!